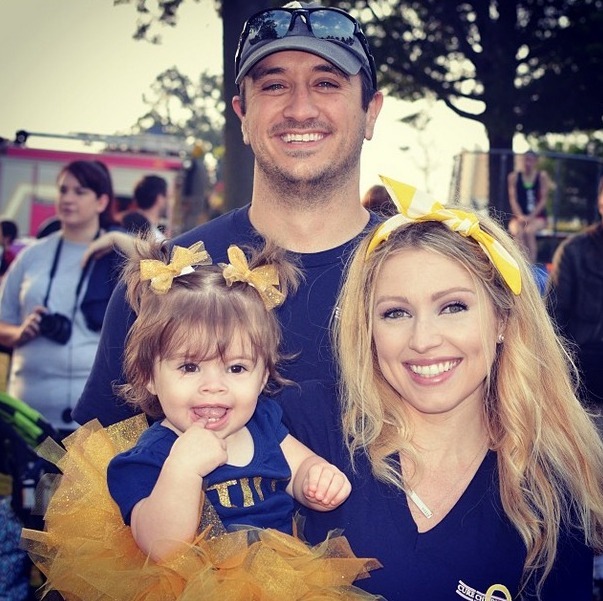 This one came out of left field for us this morning, but it looks like Britney Haynes from Big Brother 12 and Big Brother 14 has welcomed Baby #2 into her family, as Baby Tilly has a younger sister! The Big Brother alum must have kept it quiet or we totally skipped over it during Big Brother 16. Either way, congrats go out to Britney and her husband and we have new photos in our Big Brother 2015 spoilers below! I see babies all over the place right now and it makes me want one of my own! Tilly is just too freakin’ adorable! I agree Todd. How precious. Hello everyone. I hope you get one. I bet you’d make a great Dad! Oh my, she is as cute as a button! God bless her and prayers that she has or will beat this! They are an adorable family. Thanks for sharing Todd! Adorable!! She really is photogenic like Brittney. And seems to be a very happy little girl despite all the problems she has suffered. Their family has endured great obstacles. As a famous playwright once said..”The greater the obstacle, the more glory when overcoming it”. I’m glad they’ve found their glory. Saw a commercial for BB Canada starting March 23 – OH HAPPY DAY!!! Will we be seeing you Cat? That would be great! Nope, don’t think so. Haven’t heard a peep from them. Oh well, it was worth a try. Dang! I hope you’ll try again next year. Yes, i had it twice. But i suspect it was because i leaped back into doing things instead of easing back in. The first day without a fever and i was out shoveling snow. Plus also back at the grocery around other coughing and hacking people. I just can’t stay still for the required amount of time :). You are Wonder Woman! I couldn’t move and I couldn’t eat, I went 4 days with no food. I lost 10 pounds but that didn’t last, I gained it all back. Hope you get fully recovered and have no re-occurrence. Thanks JO1. I hope all is well with you! There aren’t enough superlatives to describe that precious baby (Tilly)! Really happy for that family, and praying Tilly remains cancer free for the rest of her life! !